Public and private insurance policies cover substance abuse treatment to varying degrees. If you don’t have insurance, look at payment plans, sliding scale programs, SAMHSA grants or financing options. Other options include 12-Step programs, SMART Recovery or stabilization programs. Free rehab programs can be hard to find and get into but are possible. There is an increasing recognition that addiction is a disease and should receive the same treatment coverage as a medical condition. Who Answers? if you have questions about using insurance to cover the cost of substance abuse treatment. The American Medical Association recognizes alcoholism (alcohol use disorder) and substance addiction (substance use disorder) as diseases, forcing health insurance companies to recognize the need for treatment coverage. In addition, the 2008 Affordable Care Act and Mental Health Parity and Addiction Equity Act require that, for insurance providers that offer coverage for behavioral health conditions, mental health and substance abuse treatment benefits be comparable to medical care benefits. This means insurance policies – both public and private – must cover substance abuse treatment to the same extent that they cover other medical conditions. The Affordable Care Act further ensures that insurance agencies can no longer deny coverage to anyone based on a pre-existing condition, including substance addiction. If you do not have insurance, you can apply for coverage at any time. This may help to drastically reduce your out-of-pocket costs for treatment. Healthcare.gov defines medically necessary as “health care services or supplies needed to diagnose and treat an illness, injury, condition, disease or its symptoms and that meet accepted standards of care.” These services would likely include things such as a treatment program and a bed, but not a private room with a daily linen-change service. Professional assessment is generally fully covered by insurance policies, and an official diagnosis of addiction or substance dependence (substance use disorder) will make a big difference in how much treatment your insurance will cover. Once the official diagnosis is made, insurance will cover almost any type of addiction, with varying degrees of the level of treatment covered. Call Member Services at your insurance company – have your membership identification number ready. Another option is to reach out to the admissions department of the program you’re considering regardless of what insurance you have or what you’ve heard about your policy. Programs have many ways of flexing benefits to make policies work. Medicare and Medicaid are government-sponsored insurance plans that cover screening for substance abuse. But this coverage does not always include treatment. Medicare is for anyone 65 or older or with a severe disability no matter what their income level is. Its coverage changes based on the type of care you’re seeking. Inpatient – Medicare covers up to 190 days of inpatient services during your lifetime, with a $1,260 deductible and variable co-payments. Outpatient – Medicare covers counseling and therapy, one screening per year, medication management and one yearly “wellness” visit (you pay 20% of treatment costs). Partial hospitalization – You pay a percentage of each service, as well as daily co-payments and a deductible. Medicaid is a plan for low-income households. The plan is run on a state-by-state basis, with each state covering varying degrees of treatment. However, Medicaid does require a number of mandatory services to be covered. These services include both inpatient and outpatient care, as long as the facility you choose accepts Medicaid. Health Insurance Marketplace plans cover substance abuse treatment to varying degrees, depending on the state. 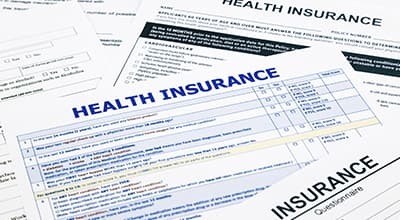 Another insurance option is the Health Insurance Marketplace, which offers state government-organized insurance plans. These plans cover substance abuse treatment to varying degrees, depending on the state. But the plans typically include coverage for assessment, detox and some outpatient care. Gaining membership in a federally recognized tribe. Contact the Substance Abuse and Mental Health Services Administration (SAMHSA) to speak to a specialist about treatment program options based on your insurance or ability to pay. If you do not have insurance, you have a couple options to ease the burden of paying for treatment. One option that many facilities offer is spreading the cost out across a payment plan. The plan involves monthly payments over a predetermined amount of time that equal the cost of treatment. Payment plans are a great way to spread the cost out to make treatment much more affordable. Another option to pay for treatment is to find a facility that uses a sliding scale payment method. Sliding scale is a fee structure based on your ability to pay. You will only be required to pay what you can reasonably afford. People with lower incomes will be expected to pay less than those with higher incomes. The Substance Abuse and Mental Health Services Administration (SAMHSA) has a free facility locator to search for treatment centers near you with payment assistance programs. Many treatment facilities also offer rehab scholarships, where the facility will cover part or all of the cost of recovery. Call the programs that you’re considering. Ask if they offer rehab scholarships and what you need to do to be considered for one. Most treatment facilities have a specific amount of money they can use for rehab scholarships per year. So if they cannot fund you, make sure to ask about other facilities nearby that may offer financial help. Another way to get help paying for rehab is to apply for a SAMHSA grant, which can cover part or all of your recovery costs. In some cases, your state substance abuse agency will even reimburse treatment costs. Regardless of whether or not you have insurance, substance abuse treatment is an important and vital step toward saving yourself from the downward spiral of addiction. 12-Step programs (for example, Alcoholics Anonymous and Narcotics Anonymous) are free recovery options that work best when practiced along with other treatment options. These programs follow a spiritual route to recovery. They begin with the admission of being powerless over addiction, inspiring a new way of living and lifelong recovery development. If a spiritual journey is not for you, try the science-based Self-Management and Recovery Training (SMART). This program is also a free support group that uses proven techniques from cognitive behavioral therapy. SMART recovery’s goal is to support and encourage participants to evaluate their own thoughts and behavior patterns in order to make positive changes in their lives. Stabilization programs are another viable low-cost treatment option. These programs generally involve 2 to 6 weeks of stay following detoxification, and they focus on progress in recovery rather than slip-ups. Once you complete the program, you have the option to move on to a sober house or therapeutic community. Holistic (or alternative) treatment programs, yet another potentially lower-cost recovery option, focus on the health of the mind, body and spirit. They incorporate traditional treatments (detox, therapy, medical care, etc.) with holistic services such as yoga, acupuncture and meditation to heal and help a person on the road to recovery. While rare, there are free drug rehab options. Many religious organizations offer treatment as part of their ministry services at no cost. Non-profit rehab organizations also offer low-to-no cost treatment. These free programs take an extra bit of effort to get into, but it is possible if you put in the time. Contact a treatment support specialist at 1-888-319-2606 Who Answers? if you want to learn more about finding or paying for an addiction recovery program.